Good morning everyone, Alex here to let you know what is happening at MOSI this August. Gather with your friends for a night of music, movies, gaming and activities. Chow down on a fun food buffet featuring pizza, soda, and candy. Jam out in a Rock Band group or dance to the latest hot songs with a live DJ. Take the ropes course challenge and play laser tag in the exhibits. Parents enjoy a night off and drop off your teen for a safe, sup ervised party celebrating the end of summer. Get two free children’s tickets with purchase of an adult or senior ticket. May not be combined with any other offers or discounts. Excludes special engagement exhibitions, films, events and ropes course. All you need is your broomstick and a pair of tennis shoes to participate in the growing phenomenon of Quiddich. Colleges from around the world have created teams and challenge one another to see who has what it takes to play this amazing and immersive sport from the Harry Potter books and movies. Learn the rules and try your hand at catching the snitch. Watch a college team put on an exhibition and challenge others to a friendly game. Join your team for a picture with the MOSI Quiddich Cup. Costumes are optional. Senior citizens are eligible for a BOGO- buy one get one free, on general admission. Free ticket must be of equal or lesser value. May not be combined with any other offers or discounts. Excludes special engagement exhibitions, films, events and ropes course. On August 12, Rescue is coming to IMAX! Rescue is an inspirational and exciting film about international response to humanitarian crises. It was during the Berlin Airlift that military equipment and personnel of multiple countries were used for the first time to deliver civilian humanitarian aid on a mass scale. Today, the militaries of the world community continue to play a key role, particularly in the first response phase of a natural disaster. 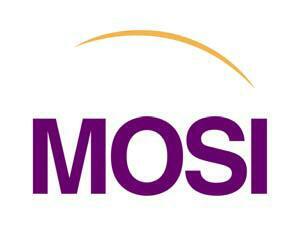 Don&apos;t miss out on all of the fun events happening at MOSI this month! For more information on any of these events visit, www.mosi.org or call 813-987-6000. I hope you have a wonderful day. Check back with us often for more information on Tampa Bay Attractions and fun Things To Do In Tampa Bay!